A friend, who really has high standards when it comes to food because her family owns a famous restaurant in Bicol, recommended C2 Classic Cuisine. So we decided to have a dinner there, four of us, at their branch at Level 6 of Edsa Shangri-La Plaza. And oh gosh it was such a gastronomic treat! 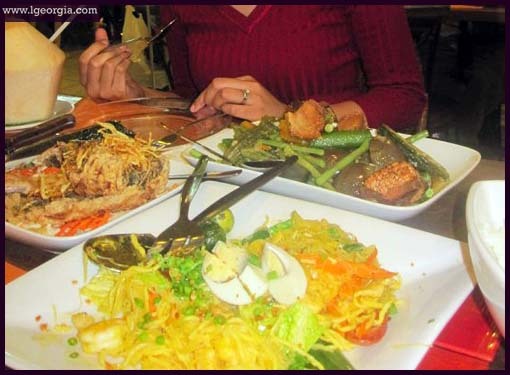 We ordered Bam-i (combination of egg and rice noodles sauteed with chicken, shrimps and Chinese sausage), Seared Tilapia in Coconut Emulsion (tender tilapia fillet served with pineapple salsa in creamy coconut sauce), Pinakbet at Bagnet and Crispy Kare-Kare. 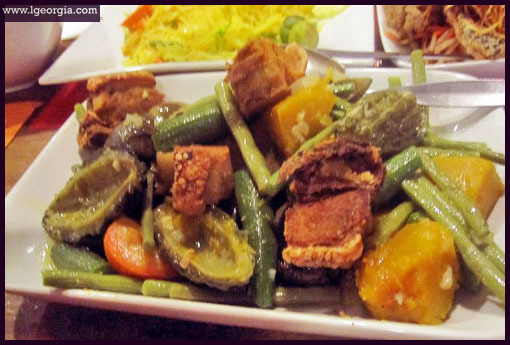 The Pinakbet at Bagnet was very very yummy. The Crispy Kare-Kare is absolutely C2's star! Kare-kare is a favourite dish of mine but I had never thought it could get better. C2's version is pure mouth-watering goodness. Crispy on the outside, but oh so soft in the inside! 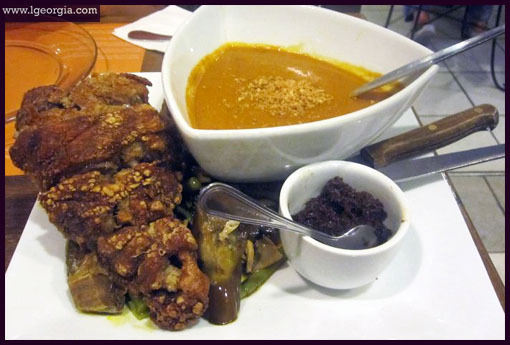 ***Crispy Kare-Kare, Php 640: Crispy boneless pork leg drizzled with rich peanut sauce. See this for C2 Classic Cuisine's menu. Will definitely go back for the Crispy Kare-Kare and to try the other tempting entrées. *Thanks to my fab friend Mau for the photos used in this post.